The coast of South Carolina includes a section of the Atlantic Intracoastal Waterway, which is comprised of a series of sounds, bays, inlets, as well as rivers that are linked together by artificial canals. The sheltered waters of the Intracoastal Waterway provide a combination of salt as well as freshwater fishing chances for anglers who are in South Carolina. In case your charter fishing adventure will bring you to the Carolina Coast, be ready to cast your fishing lines into the Intracoastal Waterway’s waters. The South Carolina area of the Intracoastal Waterway stretches throughout the South Carolina coastline that that includes famous vacation spots like Hilton Head, Charleston, and Myrtle Beach. The Intracoastal Waterway of South Carolina is comprised of bodies of water that include the Waccamaw, North Santee, Little, Wadmalaw, Dawhoo, Stono, Ashepoo, Savannah Rivers, and Beaufort. It also includes many different cutoffs and creeks. The Intracoastal Waterway’s freshwater stretches offers you redfish, largemouth, catfish, herring, striped bass, white crappie, and shad. If you are in the saltwater, you will surely find red and black drum fish, mackerel, flounder, cobia, dolphin, seabass, shrimp, and crab. The catch limits and seasons differ, the South Carolina Department of Natural Resources keeps listings that are up to date. Fishing is quite reliable in the Intracoastal Waterway in South Carolina. However, you need to expect to run into considerable marine traffic while you are fishing because this sheltered spot is very popular among boaters who are going to or coming from South Carolina. You would be able to fish at the majority of the marinas and piers that are along the Intercoastal Waterway or you can also take a bout and heat out to the water so you can fish. The best fishing season is from Spring through Fall. You might want to keep that in mind if you plan to go charter fishing with Fish-On Outfitters. If you want to catch fish in South Carolina, you are required to have a license. However, you need various licenses for freshwater and saltwater fishing if you want to buy a license for fishing on the Intracoastal Waterway, which makes the entire process quite tricky. 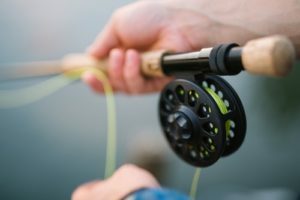 If you wish to cover your bases and know all the options available, you should go for a Saltwater Fishing license as well as a Freshwater fishing license. Both of these are offered to locals and tourists of South Carolina. These licenses can last for one day up to one whole year. You can also buy your license over the internet through the website of the South Carolina Department of Natural Resources. If you are planning to go on a memorable charter fishing trip, call Fish-On Outfitters now.